What is the SpeakPro Academy? The SpeakPro Academy is a complete speaking business model. Whether you’re just starting or a pro, you’re investing in a proven speaking business. You get all the templates, training, group calls, and more. This is the full package. The SpeakPro Academy was built for anyone who wants to take their speaking business up a notch. If you’re already a pro, this will show you how to take things to the next level so you systematize your entire business. If you’re just starting, it will show you how to do things right from the get-go. How is this different than your other products? 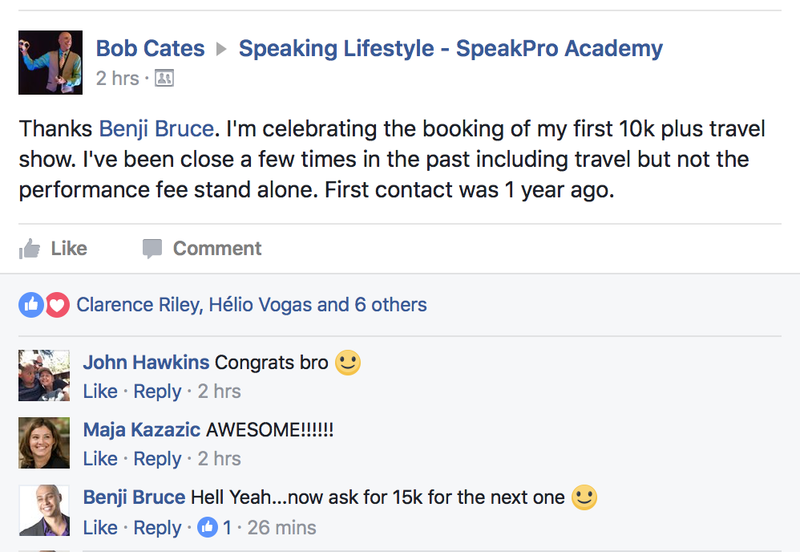 The SpeakPro Academy is all the products combined…plus group coaching and a private Facebook group. There’s no comparison. You’re buying a complete business when you invest in the SpeakPro Academy. Get ALL the Speaking Lifestyle products and group coaching to help you take your business to the next level. This is like investing in a proven speaking franchise. A step by step process for finding & contacting events in any industry so you get on stages consistently. Systematize your speaking business to make the process of getting on stages more predictable. Event Finder is a systematized sales process for finding and contacting events in any industry. It shows you how to build out your sales process so you can get hired consistently and generate predictable revenue. You’ll have the templates, steps, and more, so you can wake up every day knowing exactly what to do to get on stages. 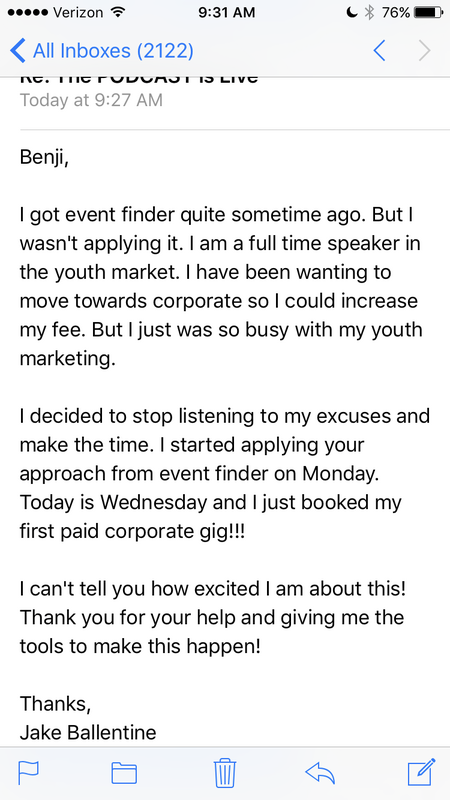 This is for any speaker who wants to improve their process for getting on stages instead of relying on referrals. Will this work for my topic? My country? Yes. It doesn’t matter what your speaking topic is or what country you live in. This shows you how to build out YOUR sales process. The Marketing Studio is a high-rise in Las Vegas that we use to build out your marketing materials for your speaking business. You spend 2 days in Vegas while we build out everything you need to get on stages. How fast do you get it done? Everything will be finished in 2 weeks…max. We build all your marketing materials for your speaking business so you don’t have to spend time doing it yourself. We build your website, event-finding sales process, demo video, and more.